Hello all, Sorry I’ve been a bit MIA, I’ve been busy with work and other things but I have a super easy and cool looking diy on the blog today! 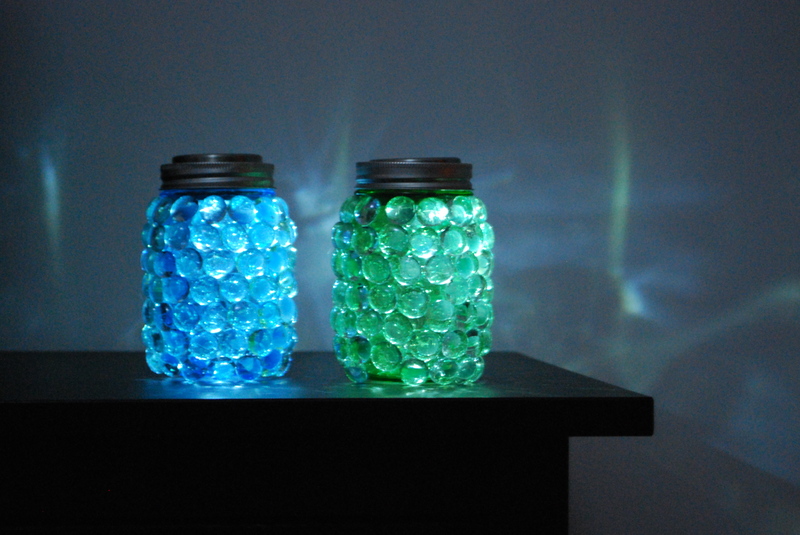 I made these Solar Jar lights as presents for Mother’s Day. I got the idea on Pinterest from a blog named Dreamalittlebigger.com. It was a very simple project that was relatively inexpensive and only took bout 30 minutes to make. 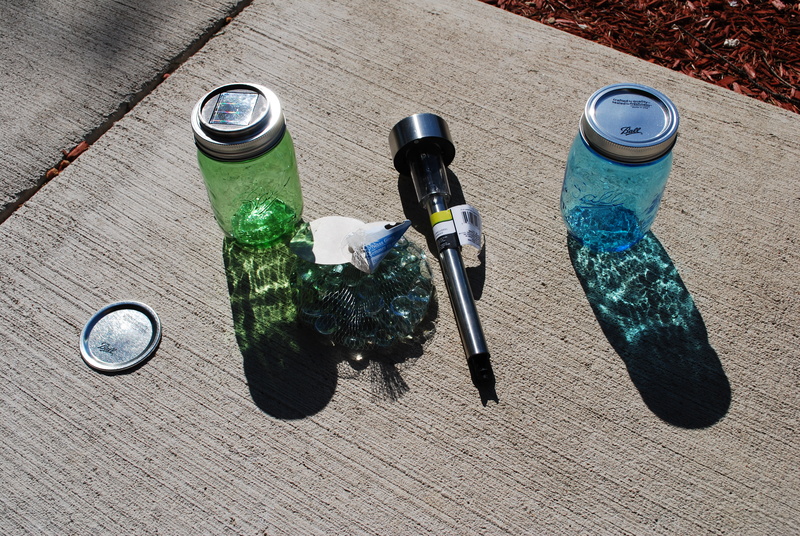 I bought the solar lights and glass gems from Dollar Tree and had the green and blue mason jars already. For my version I used the kind of mason jars with the canning lids that come in two pieces. The solar lights were easy to remove from the stakes and plastic clear part. I pushed the round top containing the solar panel and light up though the rim lid and it fit snugly so I chose to not glue it in. (As pictured below) If you don’t want to use a solar light you could also use a tea light. 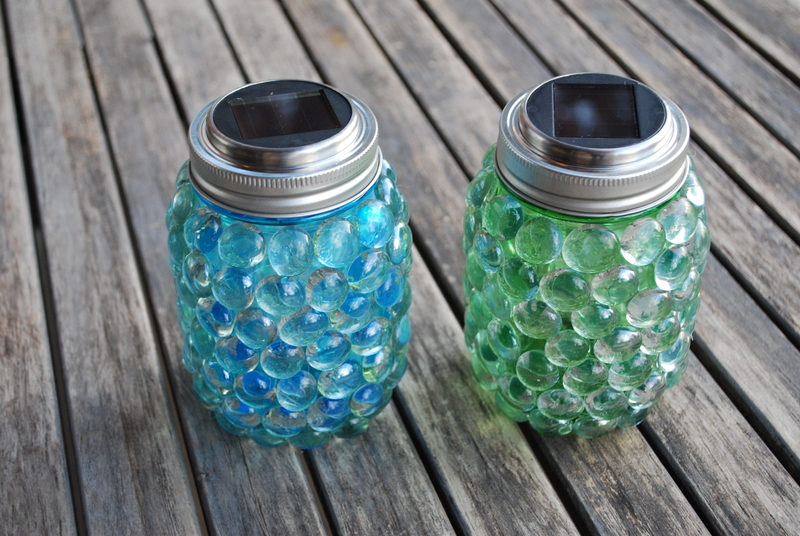 Next I used a hot glue gun to glue the glass gems onto the jars. I used one bag per jar in case you are wondering how many to get. This went quick and I was able to do it while watching TV. 😉 The next step is to put them outside or around your house somewhere where they can get sun in the day time and enjoy!